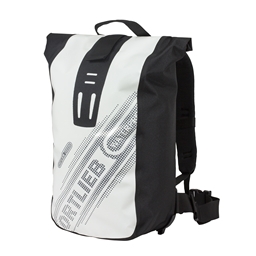 The black-and-white design helps to attract a higher level of attention, which is good because the waterproof, polyurethane-coated canvas material is completely PVC-free. 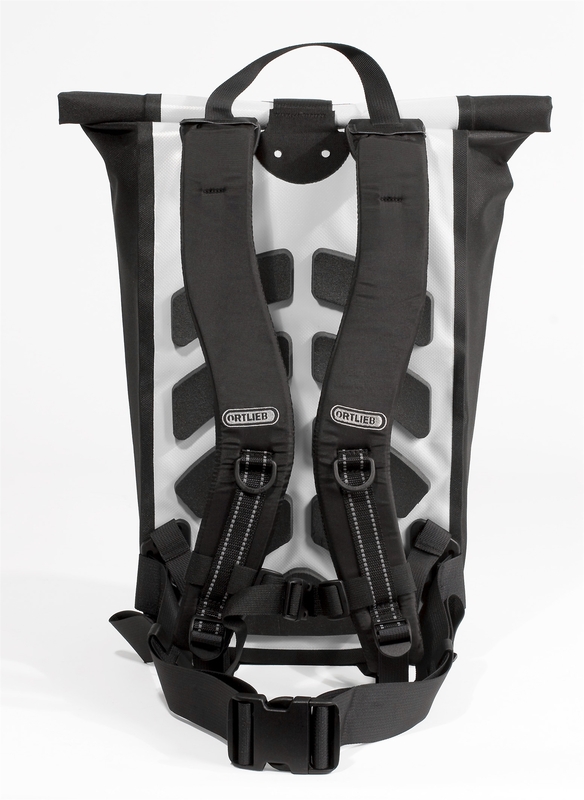 Messenger style daypack with roll top closure; removable inner pocket for valuables; padded foam vented back; anatomically shaped shoulder straps; waist belt. Ideal as a bookbag. 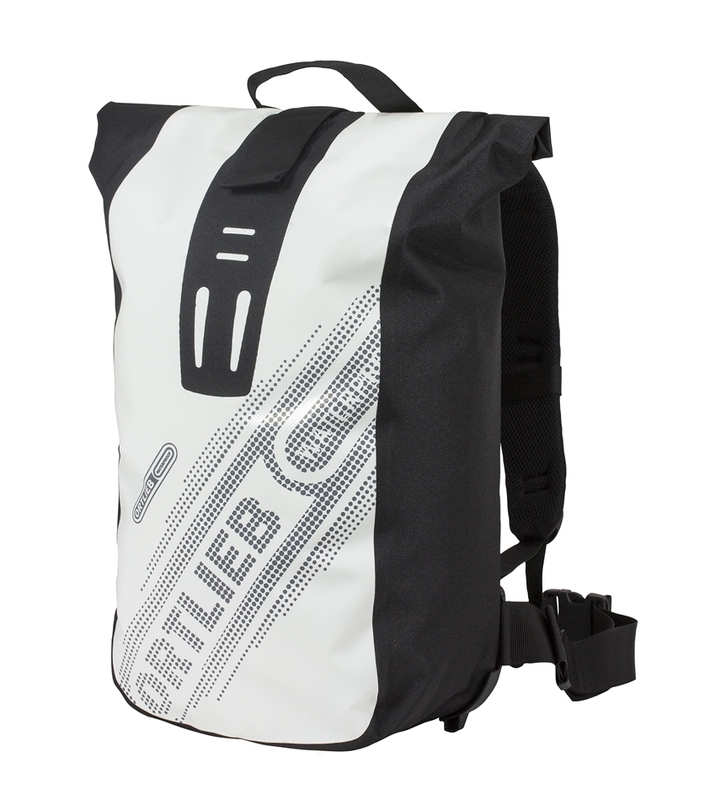 Ortlieb products are arriving daily. Please order early and allow up to approximately 3 weeks to ship. I probable was pushing this bags carrying capacity harder on a regular basis (with grocery shopping and as a carry on luggage for flights) and it caused the one con I'm listing for this bag. So the black material (which I think is Cordura, maybe) and the white plastic material seem like they're ultrasonically stitched or glued together (black on top of white) and this bond between the two finally gave out on me three weeks ago at two spots in the bag that make it no longer waterproof and makes it less trustworthy to carry smaller items that can fall out of the bag. If you're going to use this bag to carry a laptop and some smaller items I would imagine this event won't happen to you and would recommend this bag.